How to put logo in iStick Pico mod? How To Fill E-liquid Into Eleaf iCare ? How to make your iStick Pico mod look different? Eleaf iCare Solo In Stock ! Eleaf iStick Pico RESIN In Stock ! Eleaf Melo 300 Atomizer Launching ! Eleaf iJust ONE In Stock ! A New Atomizer, MELO RT 25 Coming ! New Firmware Version 1.03 Launching ! 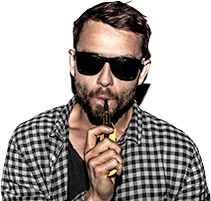 Copyright © 2013- Eleaf iStick Vape Online Store All Rights Reserved.